Personalization is rightfully a hot topic and at Movio, we’re continuously improving the tools we provide to the movie industry to enable hyper-personalized engagement with moviegoers. Our latest cutting-edge innovation, Dynamic Content for Email, allows movie marketers to harness our advanced Propensity Algorithm™ to connect everyone with their ideal movie. In this blog post, Movio Cinema’s Global President, Matthew Liebmann, describes how Dynamic Content in Email will allow for rapid 1:1, hyper-personalization and evolve movie marketing email communications. Matthew Liebmann: Consider the movies that are currently playing at your local cinema. If your local is like mine, you’ll probably have between 10-20 different movies to choose between at any given time. You’ve probably watched a few already and have very little interest in seeing perhaps half of them. There might be two that you’ll do your very best to see and be disappointed to miss, another that you’d see if your friend offered you a free ticket and a glass of wine, and whilst you’d prefer to see the fourth in cinema, you won’t kick yourself if you miss it. What you’ve internalized here is your individual propensity to watch these movies. Now switch hats from being a moviegoer to a movie marketer with a membership base in the hundreds of thousands. Your first challenge is to identify the ideal movies for each member and the second is to promote these recommendations on a personal level. The scale of the challenge is phenomenal: if you’re currently showing 10 movies, and you want to promote the top four movies for each member in the best order, based on their individual likelihood to watch each of them, you would need to manually create 5,040 segments and campaigns. You can read more about this in our Evidence Summary (63.0 KB) . However, driven by our significant investment in data science, Movio has helped movie marketers overcome these challenges. Movio surfaces the ideal audience for each movie by harnessing our proprietary Propensity Algorithm™ - the same algorithm that drives our recent Audience Insights innovation. The complexity of our Propensity Model is quite staggering. As Dr. Bryan Smith, our VP of Research has said, “Our model is uniquely focussed on cinema, successfully surmounting the fact that our industry, unlike almost any other, has a constantly-changing list of products (i.e. movies) and showtimes, so the inventory turnover is constant”. Movio’s algorithms look beyond demographics, gathering information about not only who people are, but how they’ve spent their time and money in theaters in the past. It uses individual and collective behavioral inputs between moviegoers to find patterns in their movie-watching habits to make highly-accurate predictions. We’ve proved that our advanced algorithm resulted in 7 out of 10 members watching one of their top two recommended movies, and 8 in 10 saw one of their top three recommendations. In other words, our Propensity Algorithm’s machine-based techniques are incredibly effective in identifying the ideal audience for any given movie. When we released our propensity-driven Audience Insights at CinemaCon 2018, we knew that identifying the ideal movie for each moviegoer was just the first step in the journey. Whilst we had successfully made it possible for movie marketers to match each of their members with their ideal movies in seconds, we had yet to develop a way that could just as easily serve those recommendations in a dynamic and truly personalized manner. With this release of Dynamic Content in Email, we take the next step in the journey, making our insights immediately actionable. One of Movio’s founding principles is to make campaign execution effortless. From day one, we empowered our clients to go from campaign concept to execution within 15 minutes. The current process for sending a newsletter to a million members is to build an email and then manually determine which movies appear, based on the newness or popularity of each title. However, moviegoing audiences are vast and varied, and it’s vital to recommend the best movies to niche audiences and not just the biggest blockbuster of the day, in order to maximize visitation and box office. Despite the best intent, this can be an insurmountably large task if you have to create each combination manually. Dynamic Content in Email allows movie marketers to build a list of movies that are showing now and releasing soon to promote, and then Movio’s Propensity Algorithm assigns them to moviegoers on a 1:1 basis, based on each moviegoer’s individual propensity. This means marketers can send thousands of email combinations with variable content, tailored to each person. The example above displays a typical newsletter campaign presenting the top four movies for each moviegoer for that week. We consider this example to be best practice as it gives movie marketers the greatest chance of conversion based on our research that our algorithm motivated 4 out of 5 recipients to watch one of their top three recommended movies. Additionally, there’s an opportunity to promote food and beverage items or sweepstakes and collectibles that relate to certain movies. In the example below, the banner displays the Venom movie poster and the other section displays the Venom promotional cup. This has been done by assigning both of these sections with ‘1st Movie Choice’, meaning that if a member’s first choice is Venom, both the banner image and the promotional item will be displayed, encouraging your moviegoer to ‘option up’ their cinema visit with a collectible food and beverage item. We have a number of clients who, each week, create and send targeted emails for a few new release movies and then send a catch-all newsletter to the rest of their members. But with Dynamic Content in Email, each moviegoer can now receive a hyper-personalized newsletter, blending propensity-driven recommendations, personalized markers, and conditional content. 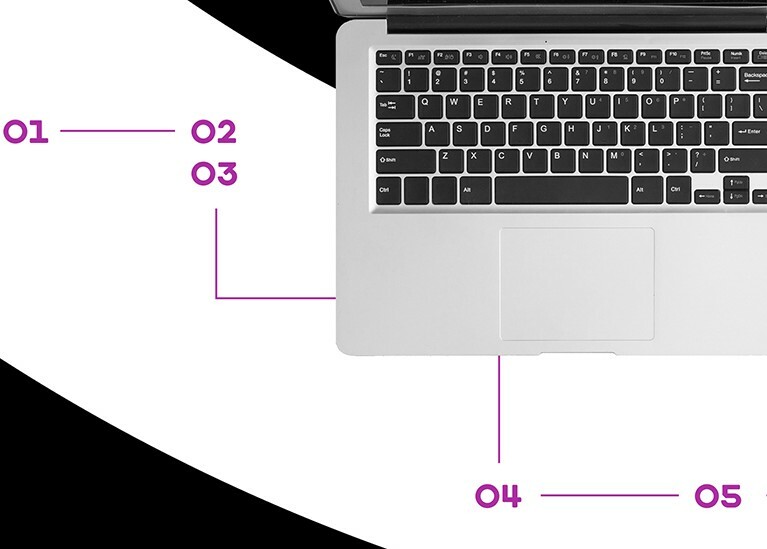 This approach reduces the need to design and execute so many different email campaigns each week, whilst simultaneously increasing the relevance of each email to each recipient. Dynamic Content is the latest way in which movie marketers can personalize campaigns for their members, joining markers and conditional content. Markers allow text to be dynamically inserted for a whole range of attributes, such as the recipient’s name, most frequented cinema, and loyalty tier status. Conditional Content serves different copy and imagery in a given section based on a series of rules, such as age or gender. These can be combined, as in the example below. Using Venom, those aged 21+ will be informed of a Venom-themed cocktail. Men might get an image promoting the cocktail with an image of the character of Venom, whilst women have Tom Hardy encouraging them to try it. Everyone under the legal drinking age will see the soda cups. By combining markers, Conditional Content and Dynamic Content in emails, no two members will receive the same message. Time to become more dynamic! With Movio’s Dynamic Content in Email, movie marketers can shift the time spent manually creating target groups and constructing emails to truly differential activities, such as designing compelling promotions, copy and imagery. Movio has truly made the process of preparing and executing campaigns simpler, faster, and more effective. By connecting each of your moviegoers with their ideal movies, Movio’s Dynamic Content in Email will help to drive more people through your doors, collecting their favorite concessions and moving to their favorite seats with friends and family to experience the magic of movies in your cinemas. 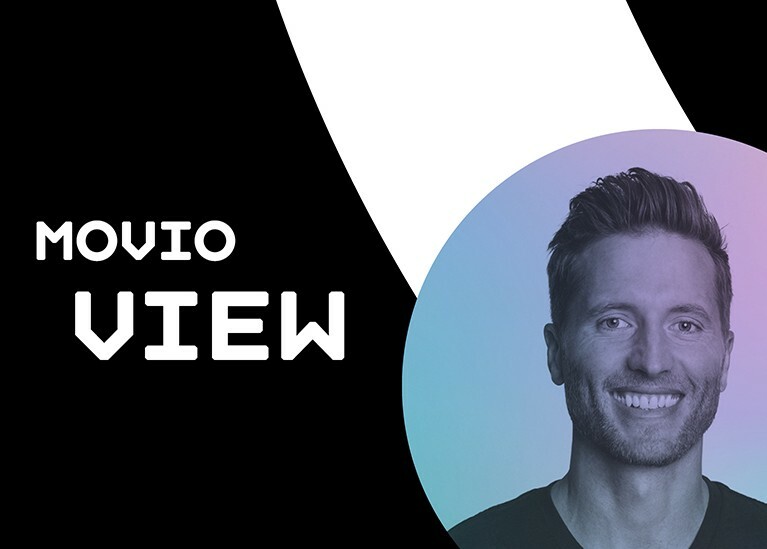 Movio's Chief Executive, William Palmer, takes us through his vision for dynamic content within Movio and its impact on the movie industry. Curious to know how to optimize the appearance of your marketing campaigns? Look no further! One of our designers takes you through her tips for success. In the first of this two-part series, Movio Cinema's Global President and Head of Product discuss sending the right message at the right time. 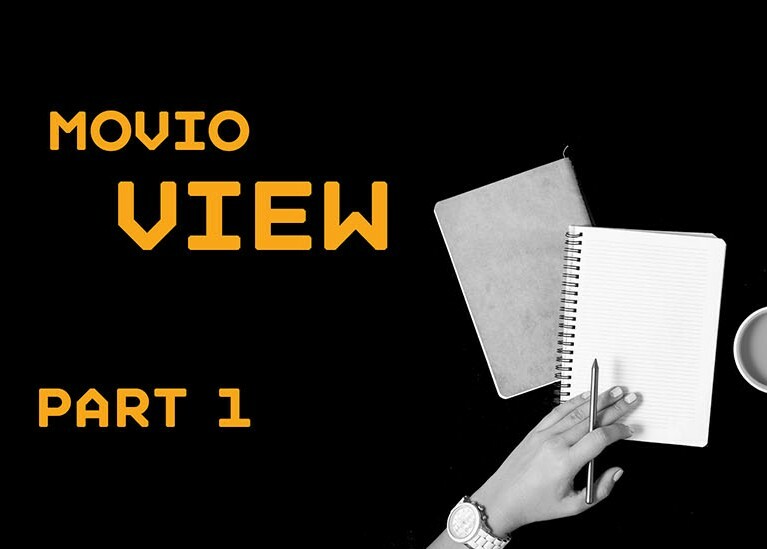 Our monthly email update with marketing tips, audience insights and Movio news.